Facebook now has over 60 million business pages, of which more than 1.5 million are Indian small businesses. On average, these small businesses spend between Rs. 10 lakh to 1 crore annually on this social platform. Furthermore, you will be hard pressed to find an SME in any commercial or industrial zone in India who says they don’t need a website. So it’s very clear that Indian businesses understand the importance of connecting with their customers through online platforms. In this article, we will take you one step further by demonstrating how you can target greater market outreach through social business networking. The two top social networks in India, in terms of penetration, are Facebook and Whatsapp. According to Statista, Facebook’s reach now exceeds to over 13% of India’s population. But for an SME considering the benefits of social business networking, the key B2B networking platform you need to be on is LinkedIn. The former already has more than 37 million members in India, their second largest user base after the U.S.
– LinkedIn InMail response rates are 3x higher than regular email. – Response rates are 21% higher when the person you contact is in the same LinkedIn group as you. – Response rates are 81% higher for people who follow your company on LinkedIn. – A person is 46% more likely to accept your Inmail if they are connected to someone who works in the same company as you. – 44% prefer it since it enables tough and tiely decision-making. And the most important one was this – 95% prefer it because they say it is essential for long-term business relationships. So let’s sum it all up. First, being a known member of a social network, B2B group or community means higher response rate when you reach out to other members for marketing and sales. 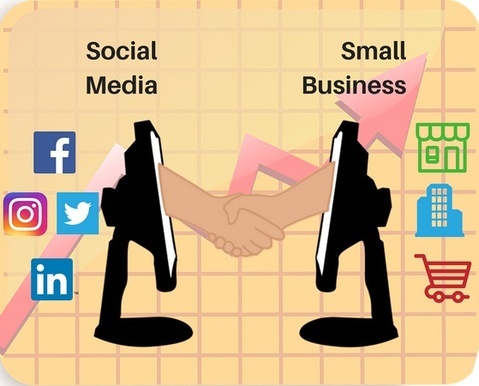 Every person or business you connect with in-person or through social business networking may not become a customer right away. But if and when they do need what you are selling, being a part of the same group converts a cold call into a warm one with a higher chance of converting into a sale. Secondly, social business networking can also be used as a means of qualifying prospects and leads that you can then follow-up on in person to close the deal and develop a close and long-term relationship. The same process applies when you are the buyer looking for business partners and vendors. You are more likely to do business with people and companies you know already because they are part of your social network or group. Lastly, social business networking is a great way to keep yourself up-to-date with the latest trends, technologies, business processes and news by following industry leaders and learning from what they are talking about.